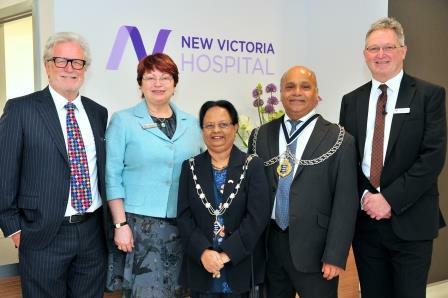 New Victoria Hospital in Kingston upon Thames has opened its new reception and outpatient suite, marking completion of a £30m redevelopment programme. The new entrance and reception lead into a fit-for-purpose outpatient facility with increased capacity including 12 consulting rooms, a cardiac diagnostic room, and five treatment rooms. New Victoria CEO David Marshall said: ‘In addition to the entrance and reception, we have gained a redeveloped outpatient department with more space. Our patients will continue to receive the quality of care we have always provided, but this will now be in a five-star environment. Our staff have continued to work in difficult circumstances during all the building work and now they will be able to do their jobs in a more comfortable environment in purpose-built facilities. The redevelopment completes the construction of The Victoria Foundation Wing, which opened in 2016. This houses four theatres, a new fourteen-bed day surgery unit and a new CT scanner with cardiac diagnostic facility.